The Automated Farm Kit is designed to operate up to a 3 zone drip irrigation system including fertilizing. Only hand tightening is required for all of the threaded irrigation parts. An itemized list of parts included in this drip kit can be found below. The drip irrigation tubing (or tape) in this kit can be cut with ordinary household scissors, box cutter or tin snips. You can view and/or print the detailed installation instructions by clicking on the button below the parts list. 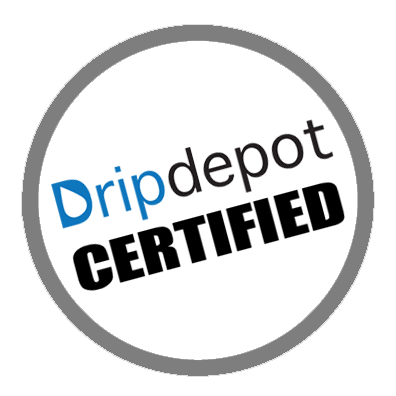 Drip Depot drip irrigation kits are completely modular in design. 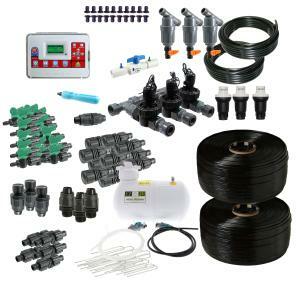 There is nothing stopping you from adding additional irrigation parts to this kit as long as you stay within the capacities and limits of the individual drip irrigation components. This means you can mix and match parts to achieve exactly what you want out of your new drip irrigation system.